How Are Our Security Solutions Tested? 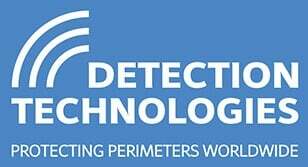 Thorough, independent testing is an unquestionably critical part of the development of any perimeter security system. So, how seriously do we take the testing of our products and what steps are taken by external bodies to ensure that our systems are fully secure? We endeavour to make sure that our key products are fully tested and of the highest standard. 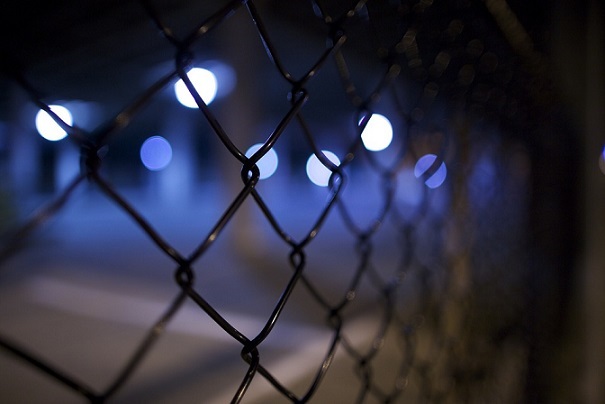 This grading process is carried out by the Centre for the Protection of National Infrastructure (CPNI), a governmental authority that plays a key advisory role on UK security. CPNI is responsible for placing fully vetted supervisors in key, sensitive parts of the country’s infrastructure and providing guidance on the best equipment to use for each site. In addition, only security equipment that they have internally tested will be recommended to the bodies operating at each specific location. When it comes to assessing these security items, the process is handled by trained professionals who conduct real-world testing on each system. This means that all products are tested through a straightforward pass-fail system, with passing grades further categorised into: base, enhanced, and higher level. This overall testing process is designed to be both objective and impartial, removing bias about the system’s design. If the system passes the testing phase, it is then added to a secure and classified list which is only available to security advisors - and if a piece of technology is not on that list and fully reviewed, it is unlikely to be recommended for use on any site that requires 24/7 protection against intrusion. The awarded grade also identifies the system’s resilience to attack, representing a highly motivated intruder who is not worried about being discovered or arrested. So, How Does The Testing Process Work? The first of two stages, this phase centres on testing the security system’s false alarm rate and mitigating any errors that result from it. In our case, this is carried out by our Detection Technology team members and supplied by us to install at a chosen test site. These are normally locations that are subject to adverse conditions or extreme weather – such as the Irish Coast or North Wales – to ensure that the system is properly put through its paces. After installing the system, the test begins, and the failure rate is tracked by CPNI. This period involves a degree of fine-tuning – with the first 30-days acting as a grace period where companies can adjust their system and ensure that it has been installed correctly. Provided the false alarm rate is within acceptable levels, the test then continues to be carried out over an 8-month period to provide representative sample data. If the initial 30 days involve excessive false alarms, or further errors occur outside of this period, the system is considered to have failed and testing is then discontinued. Over the subsequent 7 months, information about the system is directly related back to CPNI. This data includes the number of alarms, the weather conditions and relevant context about what may have triggered them, accompanied by illustrative video footage where possible. Those that fail-out at any point do have the opportunity to make meaningful changes to their system and re-enter the testing cycle again. However, the testing process changes from cycle to cycle in order to remain up-to-date and fully objective. This means that failing a test can often prove a serious blow to developers, though it ensures that only the best systems progress to the next stage of the testing process. The second phase involves testing how the system handles a physical breach. After passing the initial ‘false alarm’ threshold, CPNI are invited to carry out their own detection test to ensure that the system is able to deal with intrusion attempts. This involves CPNI bringing in professionals with ex-army or special forces backgrounds to help formulate a way to breach the perimeter security. These teams use any and all means available to them to circumvent security, providing insight into how highly trained individuals may attempt to breach the system. And by choosing professionals that possess insider knowledge about how to circumvent security systems, their team truly puts each system through its paces. These tests are also tailored to the system itself. 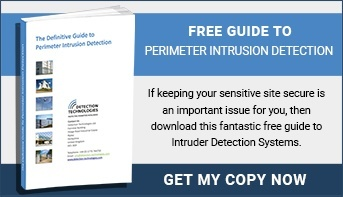 For example: if the system uses vibration to measure intrusion, breach attempts will avoid intrusion methods that cause vibrations. In order to make their suite of tests fully representative, CPNI also employ non-experts to attempt a breach – helping to ensure that actions from both highly trained and opportunistic criminals will be picked up by the system. While these will not be as ‘specialised’ as those deployed by the professional testers, they will always aim to take advantage of whatever weaknesses or physical opportunities are available on-site; ensuring the highest possible level of conformance. Once the testing is complete, the system’s designer is informed about the assessment and if they have achieved a passing grade. If so, the system is added to a private catalogue of security equipment that can only be accessed by fully accredited professionals. And while the grades are clearly awarded, the specific judging criteria are kept under-wraps to stop the system from being gamed and helping to ensure the production of a well-rounded security product. These grades involve the previously mentioned ‘base’, ‘enhanced’ and ‘higher’. A ‘base’ grade means the system fully complies with a core set of tests – all of which are designed to assess weaknesses in a fence’s construction. ‘Enhanced’ and ‘higher’ grades factor in the time delay involved between the initial breach and the system’s ability to stop or significantly delay intruders, with each level indicating the number of tests the system has passed. To learn more about what we can secure please click here. And if you want to review our latest range of systems and find out how they could benefit you, please get in touch with us directly and let us know what your unique situation requires.